Battery power for 12V DC miniature cameras. 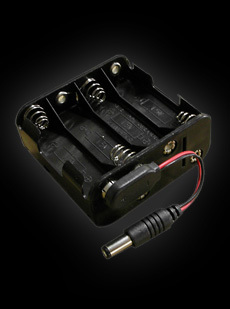 This 8 AA Battery Holder, 12V is considered to be one of the best. Are you interested in this 8 AA Battery Holder, 12V / Accessories but not sure what's required for setup, how it works or you just have a general inquiry? Chat with one of our Accessories Specialists.